Dr. Richard Gartner and Dr. John Duckworth share a passion for periodontal therapy and have a wealth of experience in placing dental implants, repairing gum recession, saving diseased teeth and gums, and improving the health and function of their patients' mouths. The doctors are both periodontal specialists who have attended three extra years of training, after dental school, to learn the special techniques required to manage the treatment of periodontal diseases and the placement of dental implants. This is similar to other specialists in medicine, such as cardiologists, opthalmologists, dermatologists, etc. Dental specialists have unique and extensive training and experience that allows them to regularly recognize and treat issues that are not commonly seen. Doctors Gartner and Duckworth will work with your family dentist, as part of a team, to create complete solutions to your specific problems. Richard R. Gartner, D.D.S., M.S. Dr. Richard Gartner received both his dental degree and periodontics certification at the University of Nebraska. 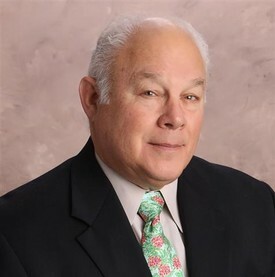 He has been a Diplomate in the American Board of Periodontology since 1978. A Diplomate is a periodontist who has made significant achievements beyond the mandatory educational requirements of the specialty. These achievments include comprehensive qualifying and oral examinations in all phases of periodontal disease and its treatment, as well as dental implants. One of Dr. Gartner's greatest strengths is his experience. 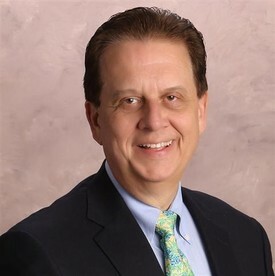 Dr. Gartner has been practicing periodontics for over 30 years and was one of the first doctors to use the original Swedish Branemark Implant system in Severna Park. He brings compassion to patients who may be fearful of dental treatment and tries to provide the highest quality of non-surgical treatment first. When surgical therapy is recommended, he has the experience, knowledge, and expertise to apply necessary treatment successfully. Dr. Gartner came to Annapolis in 1972, to serve as the Periodontist at the U.S. Naval Academy. He lived on the Eastern Shore for fifteen years and now resides in Severna Park with his wife and two daughters. His hobbies revolve around fishing, hunting, hiking and camping. John E Duckworth, D.M.D., M.Med.Sc. Dr. John Duckworth received his training in Periodontology at Harvard University on a research fellowship from the National Institutes of Health. For his graduate research, he was awarded the Orban Prize for Periodontal Research. This award is given to the graduating periodontal resident who has done the best research in the world for that year. After graduation, he served on the faculty of Periodontology at The Ohio State University College of Dentistry. Dr. Duckworth has been in private practice, improving his patients' oral health since 1988. He recently relocated to Annapolis to be closer to his grown children. Dr. Duckworth is trained to provide you with the best possible health for your teeth and gums. His first priority is always to save your teeth and make them last the rest of your life. When circumstances create a situation where the teeth cannot be saved, he has 20 years of experience with placing, repairing and maintaining dental implants to replace your natural teeth. The goal is always to create healthy gums, functional chewing for healthy foods and a beautiful and natural smile.